The Irish Football Association has launched the first stage of its public consultation process for the redevelopment of Windsor Park. Having already appointed planning consultants and a design team to present a formal planning application at the end of the year, the IFA is now canvassing the views of the wider community. With the help of £25.2million of funding from the Department of Culture, Arts and Leisure, the IFA plans to increase overall capacity to 18,000, create brand new south and east stands and relocate its headquarters to the national stadium they share with Linfield. The consultation process will last for 12 weeks and plans will be available for public viewing at seven locations in the Belfast area. A statement from the governing body read: "The Irish FA is today launching a Community Consultation Process, which is the first phase of the wider community engagement process required to deliver the sustainable, economic, social, equality and environmental returns as part of the Department of Culture, Arts and Leisure investment in the Regional Stadium Development Programme. "[It will] provide an opportunity for the wider community and groups with an interest in the stadium redevelopment to become better informed about the proposal and to contribute their views before a formal planning application is submitted. "The aim is to bring about meaningful public engagement which contributes to the project design, helps to address any community concerns and to mitigate potentially negative impacts." Northern Ireland have a run of four consecutive World Cup qualifiers at Windsor Park between this November and September 2013 before finishing their campaign with away trips to Luxembourg, Azerbaijan and Israel - during which time construction work is expected to take place. AN ambitious proposal to build a new €430m leisure park featuring an artificial ski slope, concert arena and casino has been turned down by planners. The project -- the 'Altitude' leisure and tourism park -- had been touted as a major attraction with the potential to draw more than one million visitors a year to the 32-acre site in Dundalk, Co Louth, close to the Dublin-Belfast M1 motorway. However, following an appeal by Louth Environment Group, An Bord Pleanala refused permission on a number of grounds. It said the scale of the development proposed -- which would attract 1.15 million visitors to Dundalk each year -- would result in an "unsustainable car-dependent development". The board deemed the development contrary to national transport policy, which seeks to cut private car travel. The proposed development was also found to be in an area vulnerable to coastal flooding. Innovative Leisure Systems, which were behind the project, had envisaged the park creating 1,200 full-time jobs when it was rolled out over seven years. The businessmen behind the project -- Sam Curran and Pearse O'Hanrahan, a former Fianna Fail councillor in Dundalk -- had initially estimated Altitude would be completed by 2016. A call to Mr O'Hanrahan and the firm that submitted the application went unreturned last night. Mr Curran was also involved in delivering the Ice Dome skating rink in the town which later closed. Heritage body An Taisce last night welcomed the decision to refuse the planning permission for the artificial ski slope and park. A PROTEST involving a flotilla of boats in Dublin is planned during the tall ships’ visit to highlight the emptiness of the river Liffey and to seek proper provision for the mooring of leisure craft and houseboats. Sam Field-Corbett, of the Irish Ship and Barge Fabrication Company, said the “Use the Water” campaign – supported by other boat users – will be directed against “forces that, over the years, have turned the river into a barren, lifeless and empty space”. MAYO COUNTY Council is planning to impose “community benefit” levies on wind farms, power stations, quarries, gas pipelines, telecom masts and waste disposal facilities – but the move would not apply to the Corrib gas project. The council, which has extended the deadline for public consultation on its proposals until September 28th, is planning to set the levies at exactly the same level – €2,500 per megawatt – for wind turbines and “industrial installations for carrying gas”. A REFUSAL by An Bord Pleanála to grant permission for a crematorium and burial grounds in south Co Dublin is being challenged in the High Court. Hantise Ltd and Ashman Properties Ltd sought permission for a crematorium and cemetery at a 3.64 hectare site they own at Kilternan. In June, An Bord Pleanála upheld a decision by Dún Laoghaire-Rathdown County Council to refuse permission for it. An Bord Pleanála has refused, in part, permission for the retention of a medical centre in Killarney after an appeal by the town’s pharmacists. Two years ago, most of the town’s GPs relocated to the centre, built by Sunday’s Well Properties Ltd. Situated about 1.5km from the town, the centre houses 15 GPs and dozens of ancillary medical staff over three floors, plus a pharmacy. 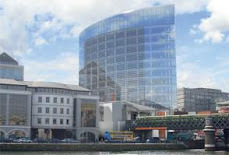 The multistorey Reeks Gateway building was built for office and commercial use during the boom. However, its conversion to a medical centre has been dogged by controversy. An Bord Pleanála has rejected planning approval for a 14-turbine wind farm near Moycullen in Co Galway. The project, submitted by Western Power Developments, was approved last year by Galway County Council and involved 14 turbines, 140m (460ft) tall, within a kilometre of seven houses at Knockranny, overlooking the Galway-Clifden road. It also involved ancillary structures, including a control building, a permanent meteorological mast of up to 80m in height, a substation, access tracks and associated infrastructure across an area of almost 225sq m.
The board, which overruled its inspector’s recommendation of the project, has cited the area’s archaeological heritage and the risk of peat slippage as the main reasons for rejecting the plan. THE RESTORATION of the fire-damaged St Mel’s Cathedral in Longford is due to begin in the coming weeks. St Mel’s Cathedral project committee has, following a tendering process, sent a letter of intent to Longford building firm Gem Construction (in association with Purcell Construction of Galway) asking them to carry out work on the historic cathedral. The cathedral, which opened in 1856, was gutted by a fire that began in a chimney flue, leading from a boiler, in the early hours of Christmas Day in 2009. CONSTRUCTION ACTIVITY in Northern Ireland and in Border counties is set to run significantly ahead of that in Dublin, according to a new analysis of planning applications. 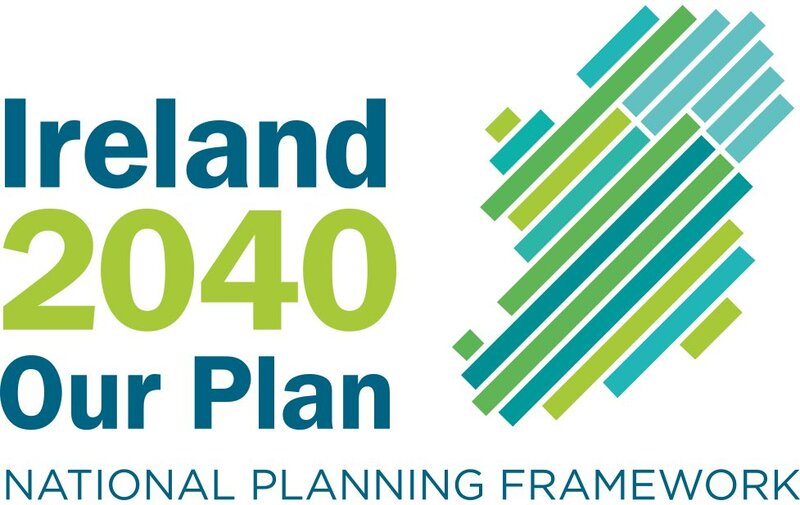 The number of planning applications made to local authorities in Northern Ireland per head of population is twice the number made per capita in Dublin, according to planning data company Link2Plans. A WEST Cork Gaelscoil will offer classes in a purpose-built school for the first time in 18 years following planning approval by An Bord Pleanála. Staff at Gaelscoil Chloch na gCoillte (Clonakilty) have taught pupils in a variety of makeshift classroom locations including a disco, a former Church of Ireland teachers’ residence, a mobile home, a holiday home and 29 prefab buildings since its inception in 1994. DUBLIN’S cross-city Luas line, the only major rail project sanctioned by the Government, is set to carry its first passengers in 2017 following the granting of permission by An Bord Pleanála yesterday. The Luas BXD, will run from the Luas Green line at St Stephen’s Green to the Iarnród Éireann station at Broombridge in Cabra, connecting the Green and Red lines for the first time. YESTERDAY’S DECISION by An Bord Pleanála to grant permission for the Luas Broombridge line to link the existing Red and Green Luas lines underscores the folly of having built two independent lines in the first place. Not having done the job properly when the lines were built eight years ago has proved extremely costly in terms both of inconvenience to the travelling public and, probably more importantly, money. The Luas BXD, known as the “missing link”, is a 5.6km line running from the Luas Green line at St Stephen’s Green to the Iarnród Éireann station at Broombridge in Cabra, connecting the green and red lines for the first time. It will link the green line from Sandyford to St Stephen’s Green with the red line from Tallaght to Connolly Station. The lines will meet up at O’Connell Street. The Luas BXD will then run to Parnell Square, Broadstone, Phibsborough and Cabra. THE DEPARTMENT of the Environment is seeking an independent planning expert to examine its internal review of alleged planning irregularities published last June. The review of complaints about planning in seven local authority areas found “deficiencies” but no evidence of corruption or abuse of public office by officials. THE FUTURE of Galway is right in front of it: between the former Great Southern Hotel on Eyre Square and the sea. Indeed, local architect Roddy Mannion believes that the landbank lying beside Ceannt Station could meet most of the city’s growth to the end of this century. Owned in parts by CIÉ, distressed property developer Gerry Barrett and the Galway Harbour Company, it amounts to a total of 14 hectares (34 acres). But despite being identified in 1999 as having great potential for an extension of the city centre, nothing has happened. THE STONEHENGE-like structure built last November on Achill Island is to be taken down after the High Court yesterday lifted a stay on an earlier demolition order. Dubbed “Achill-henge” by locals, the circular concrete structure was erected by property developer Joe McNamara on a scenic hilltop overlooking the village of Pollagh, despite attempts by Mayo County Council to halt the work. STATE AGENCY Nama’s plans to fund a cinema and retail development in Drogheda threaten a similar, privately backed, project that is already under way in the town, it was claimed yesterday. Nama recently indicated that it would decide shortly on whether to provide funds to revive plans to build a cinema complex, restaurant and retail space in the town’s Scotch Hall centre at a cost of €20 million.